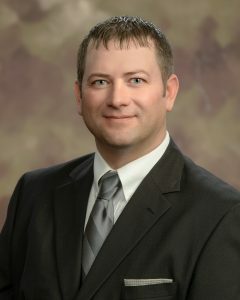 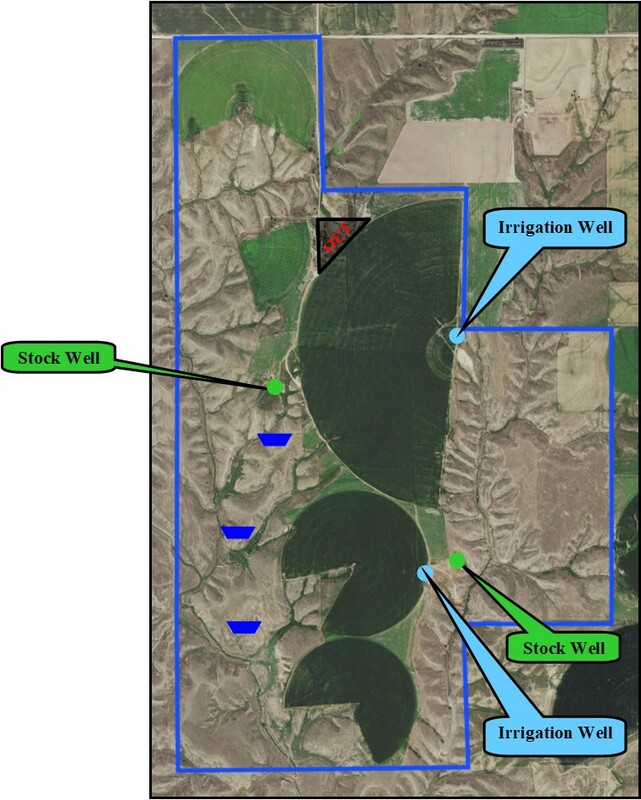 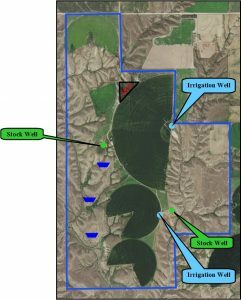 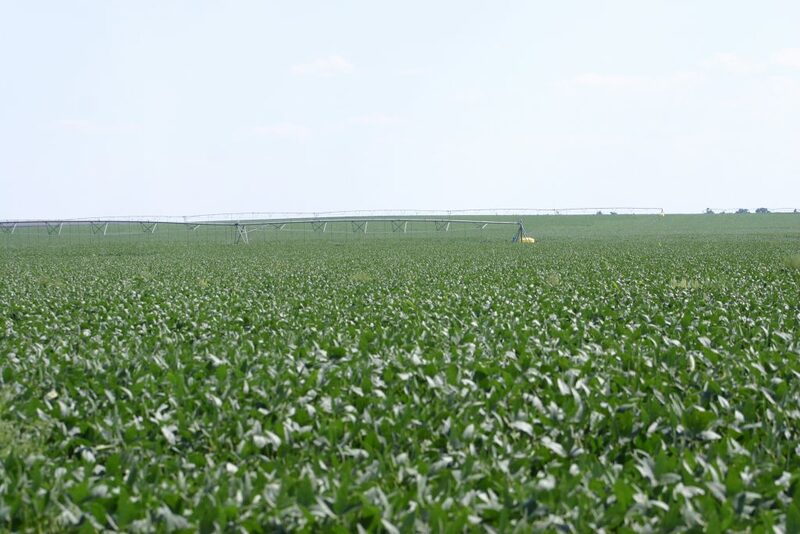 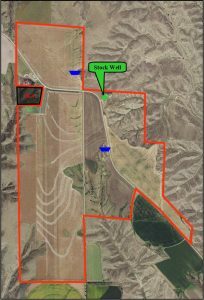 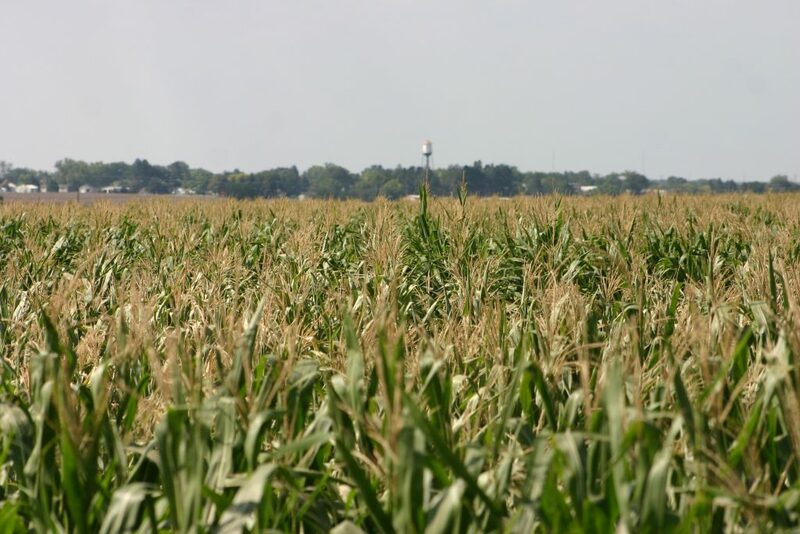 Description: 3,270 acres located southeast of Hayes Center, Nebraska. 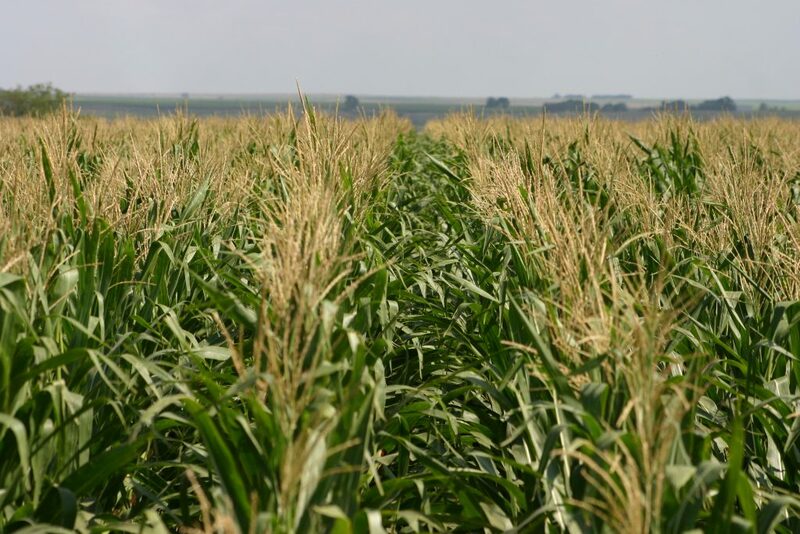 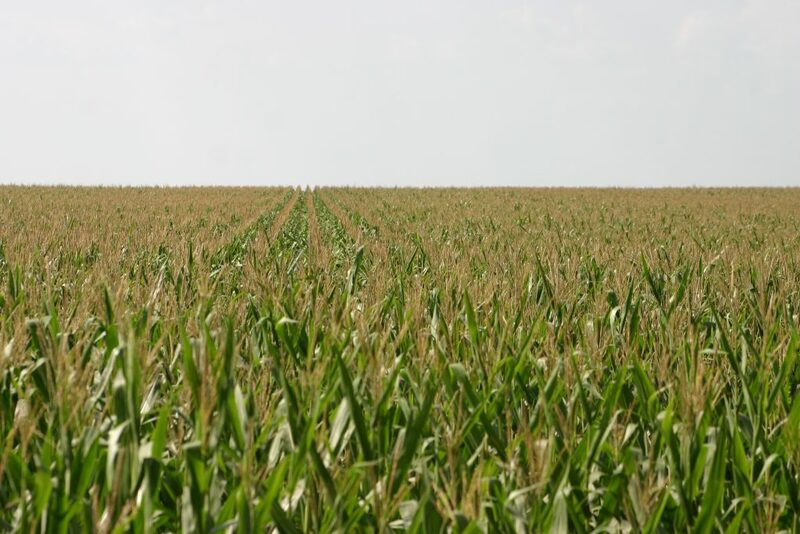 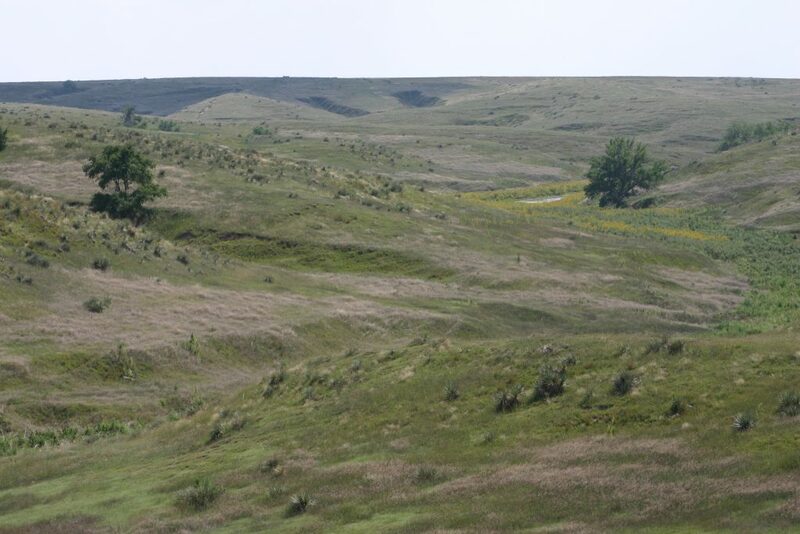 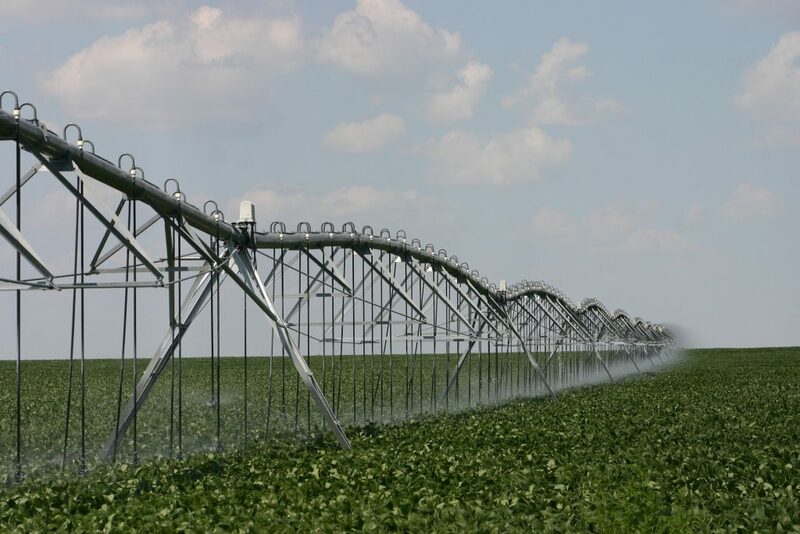 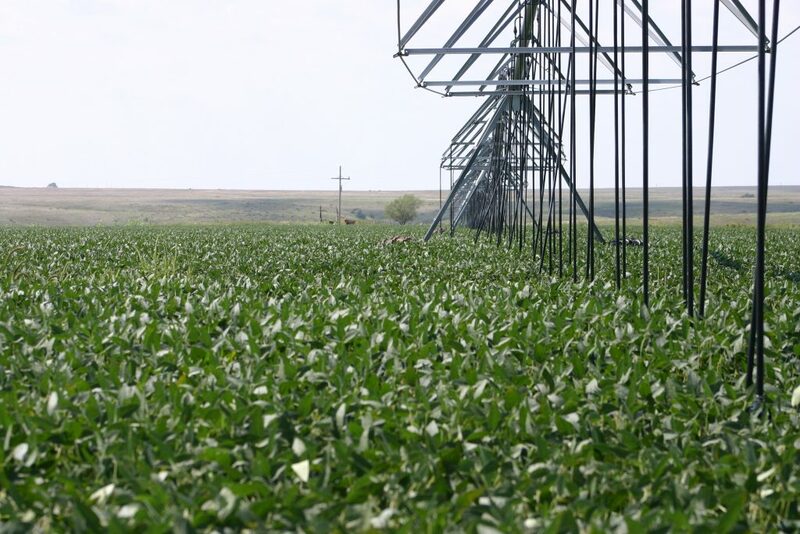 Property includes pivot irrigated cropland, dryland cropland and rangeland. 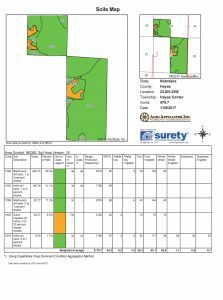 Offered in 3 parcels with immediate possession available. 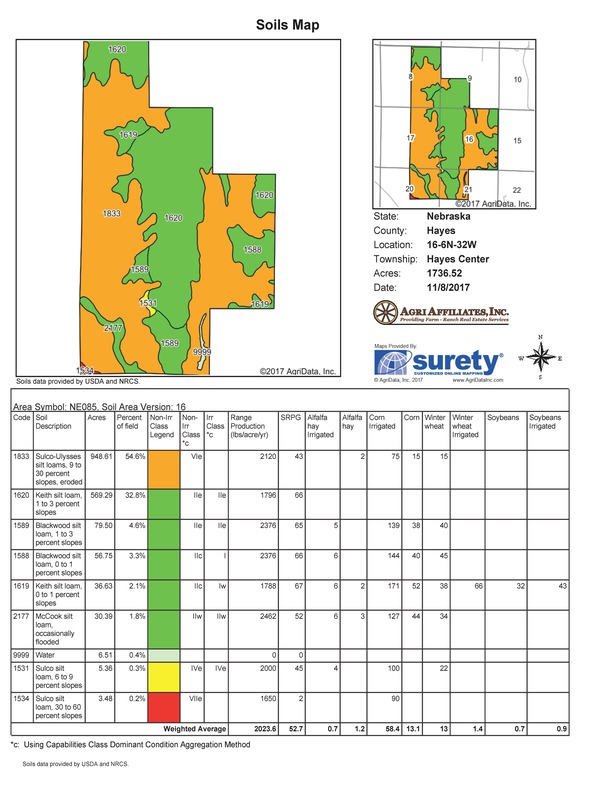 Parcel 1: SW1/4 Section 15; E1/2 Section 22 - T6N-R32W of the 6th P.M., Hayes County. 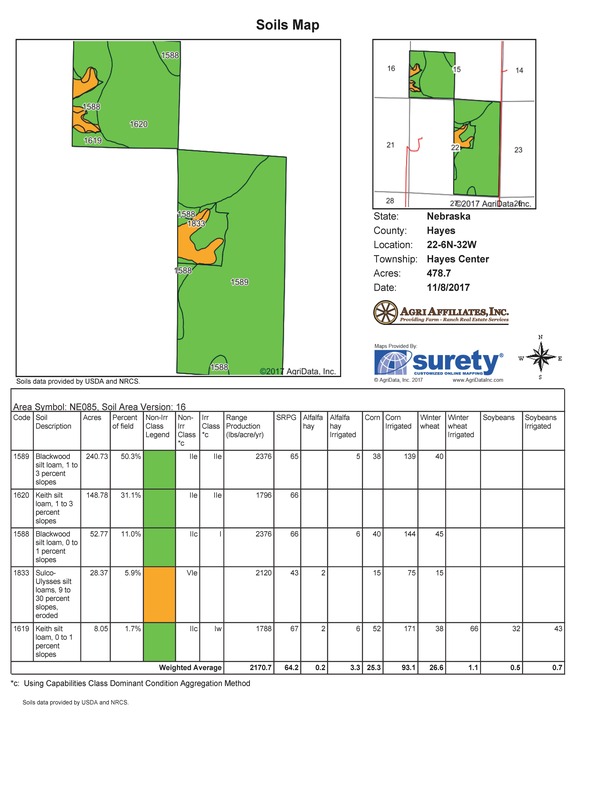 Parcel 2: E1/2 Section 8; SW1/4 except a surveyed tract of building improvements Section 9; All Section 16; E1/2 Section 17; NE1/4 Section 20; and NW1/4 Section 21; All in T6N-R32W of the 6th P.M., Hayes County, NE. 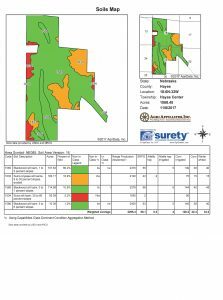 All in T6N-R32W of the 6th P.M., Hayes County, NE. 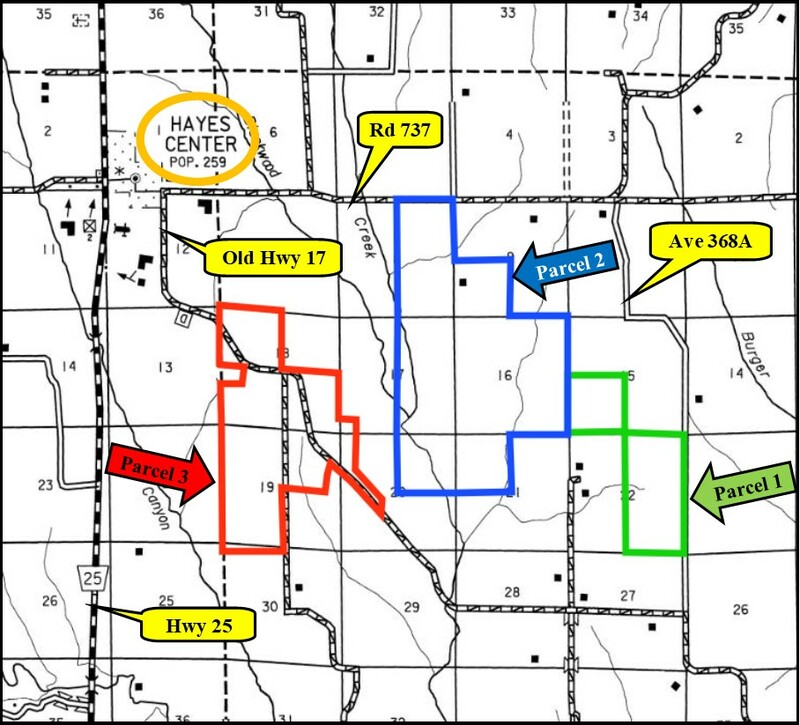 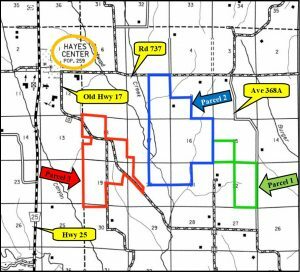 The property is located southeast of Hayes Center, Nebraska. 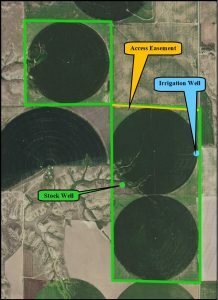 Parcel 1: Property includes 366.6 pivot irrigated acres under three center pivot systems, 94.5 acres dryland and 14.77 acres winter rangeland. 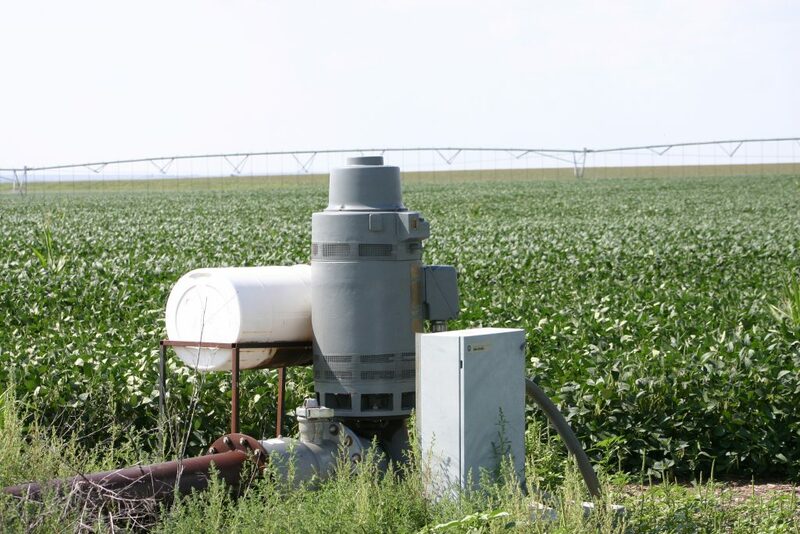 The Middle Republican NRD reports 400.9 Certified Irrigated Acres on this property. Parcel 2: Property includes approximately 585 pivot irrigated acres under five center piv-ot systems, 146.7 acres dryland and 1,001 acres rangeland. 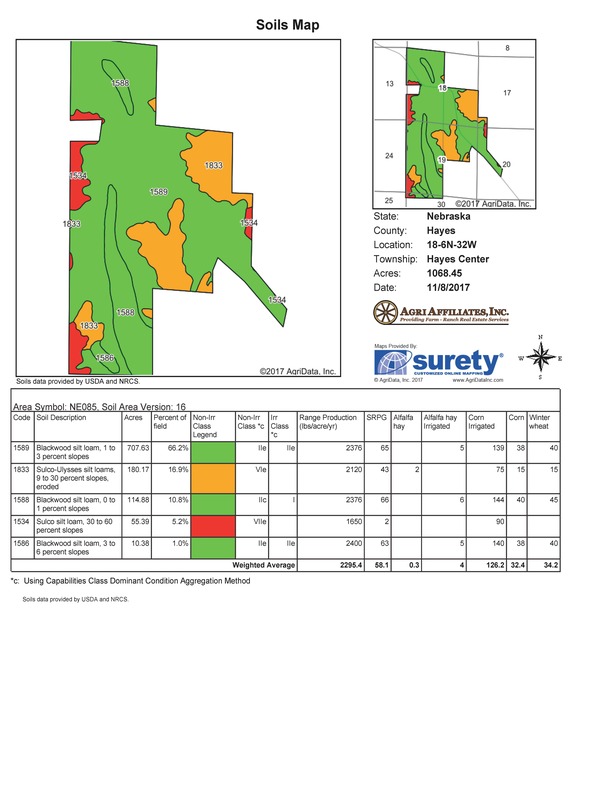 The Middle Republican NRD reports 606.3 Certified Irrigated Acres on this property. 3.86 Acres enrolled in CRP through Sept. 2026 with annual payment of $62/Acre. Parcel 3: Property includes 757.4 acres dryland and 274.3 acres rangeland. 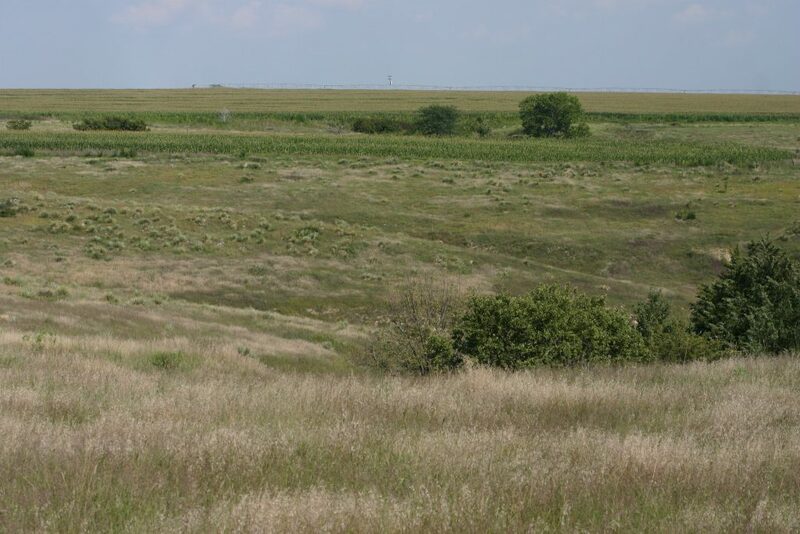 9.79 Acres enrolled in CRP through Sept. 2026 with annual payment of $62/acre.